Important: connection type JedoxXMLA is being deprecated, starting with Jedox 2019.1. 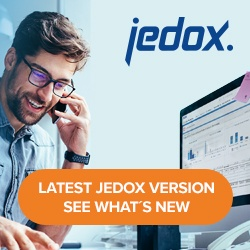 Connections of this type will not be available as of Jedox 2019.3. This connection type allows connection to a Jedox/Palo OLAP database via the Jedox ODBO/XMLA provider for data extraction. You can use the same extract types with this connection type, but it is not suited for loading of data. The connection parameters are the same for a Jedox connection (the ODBO port has to be entered). Note: in general, Jedox or JedoxGlobal connection types will lead better performance, as they use the native Jedox Java interface (palojlib) for the connection. The connection type Jedox XMLA is useful to get cube cell values on an aggregated level with the extract-type cube. For more information, see Jedox 3rd Party Access (ODBO/XMLA).